The St. Baldrick’s Foundation! That’s right! All proceeds from the ebook will go to the St. Baldrick’s Foundation. I looked for a charity that has transparency, a trusted history and will have the greatest impact on research that is available to the most children. St. Baldrick’s has all these qualifications. 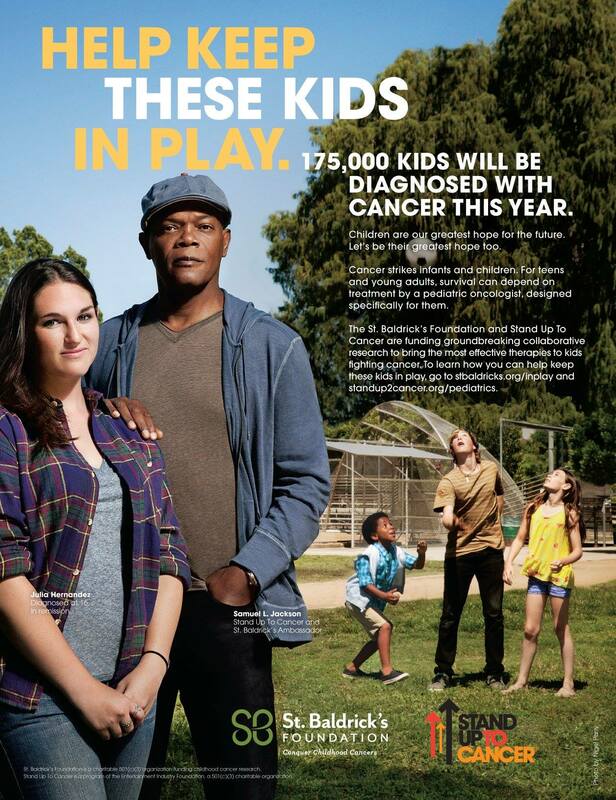 Check out the latest ad campaign by Stand Up to Cancer featuring St. Baldrick’s and starring childhood cancer survivor, Julia Hernandez and Samuel L. Jackson. This entry was posted in awareness, project and tagged cancer, childhood cancer, childhood cancer awareness, gold craft, pediatric cancer, project, samuel l. jackson, st. baldrick's foundation, stand up to cancer by GoldenCancerMom. Bookmark the permalink. Very excited to be part of this project!